This is the last post I’m going to do about Christmas. Next year meaning Christmas 2011. Because this post is actually about planning for Christmas 2011. Don’t groan or roll your eyes. It’s not too early to begin thinking about Christmas again. Really. Just read on and you’ll see. It’s not what you think. During and after the holiday season, I keep a little list handy. This list is super important in making the next year’s holiday season running smoothly. It’s my “What to buy for next year” list. For example, did you have a strand of Christmas lights burn out this year that need to be replaced? 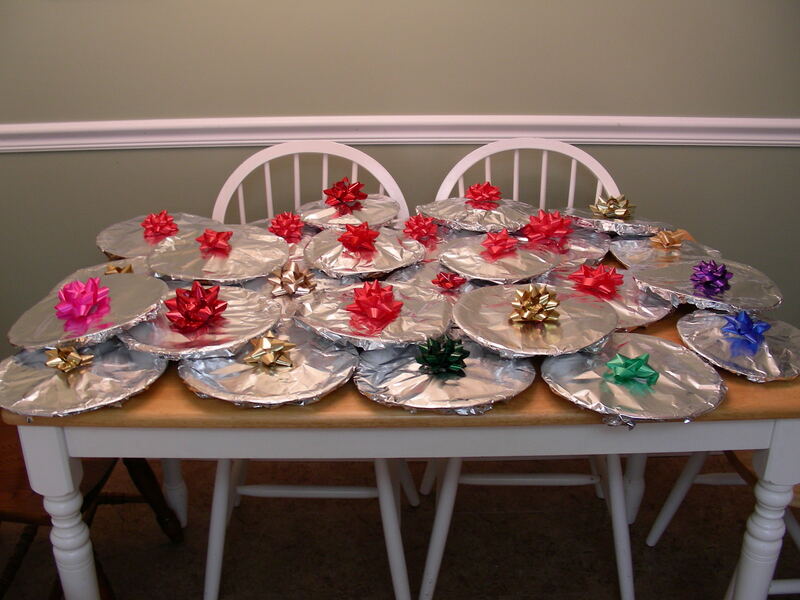 Are you out of decorative paper plates you used to deliver Christmas cookies? Do you need more wrapping paper, bows, gift tags, etc? Is there an item you wished you had more of because you ran out this year? Is there an item you had too much of that you need to cut down on for next year? Did you write any of that down? I doubt you’re going to remember by the time the holidays are here again. Unless you have a memory like my husband or his Dad. Then you just might. But I wouldn’t bet on it. So, write it down. Or put it as a reminder on your phone. Or in your planner. Or whatever you use to keep yourself organized. For example, on my list I have several things to buy: 1 strand of outside icicle lights, 1 strand of Christmas lights, gift tags & the ingredients for the cookies I make to give to my neighbors. 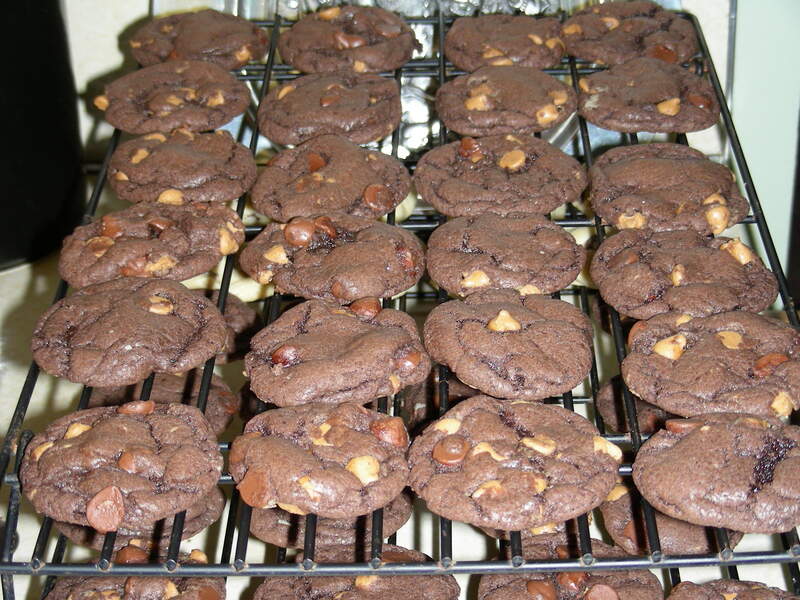 I even know exactly how much to buy to make just enough cookies for the neighbors. Yes, I’ve calculated it…I’m that weird. Don’t they look scrumptious? Let me tell you — they are! We gave out 23 dozen cookies this year. It takes 6 bags of the peanut butter/chocolate chip morsels and 6 cake mixes (plus other ingredients) to make these delicious things. Here they are all wrapped up and ready to be delivered. Now, when the holiday stuff starts appearing in stores (you know, around Easter – haha), you can pull your list out and buy what you need before you need it. And if you keep your list current during the holiday season, then you’ll be able to take advantage of the post-holiday sales and buy what you need at super low prices! Or just wait until next year while wishing you had done it this year! This entry was posted in Holidays, Organizing and tagged Christmas, list. Bookmark the permalink.